BlackBerry 10 is still alive. 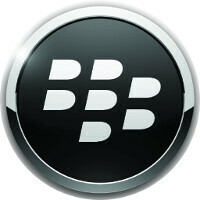 While the platform is still breathing, BlackBerry World remains the place to go for apps designed for the platform. Look, there is no question that the Android powered BlackBerry Priv has captured the attention of most smartphone buyers interested in buying a 'Berry. But not that long ago, BlackBerry was strongly touting the ability of the BlackBerry Passport to "Work Wide." If you do own a BlackBerry Passport, a BlackBerry Classic, a BlackBerry Z30, or any other BlackBerry 10 handset, you might be interested in BlackBerry World's holiday sale on selected apps. Some of the discounted apps include the Evolution Web Browser with a built-in ad blocker, priced at $1.99. App Locker ($1.99) adds more privacy protection to your BB10 handset. If you want to get into the Christmas Spirit, you can download appropriate holiday themed ringtones, wallpapers and stickers from the Merry Xmas app ($3.99). Those using their 'Berry at the office would probably would be interested in apps like Dossier (99 cents), which keeps all of your files in one place. For $2.99, File Locker keeps prying eyes away from the content on your phone, and Call Recorder ($2.99) will keep an audio recording of your calls. To see the complete list of the apps on sale, click on the slideshow below. Just because the Priv is the new guy in town doesn't mean that older BlackBerry models can't be shown a little TLC too. Nice to see that BB10 and its users are still being shown some love via this app sale. BB10 is a great OS and BB10 devices like the BlackBerry Passport are great as well. I still use a Passport as my daily driver, as the device and OS are just that good.